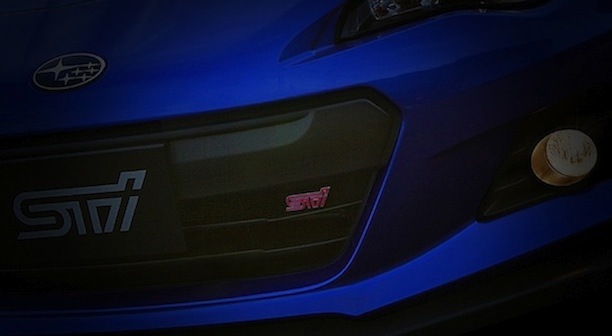 There is good news coming out of Japan for BRZ performance fans who have been waiting for the 2014 Subaru BRZ STI. Subaru has all but confirmed that the new BRZ STI performance model is on its way and the wait won’t be much longer. The Japanese STI (Subaru Tecnica International) website has leaked a teaser image of the all-new BRZ STI and tells us it’s “coming soon.” We knew it was coming, but didn’t know exactly when Subaru would launch the high-performance variant of the two-door coupe. The website also shows a twisty hilly road along with the words, “Purity of Handling.” When should we expect to see the new BRZ STI? Subaru officials have told the Los Angeles Auto Show that they will bring a new model to the show in November where it will make its world debut. The 2014 Subaru BRZ STI will likely make its global debut this fall at the first major North American show of the season. Subaru sales are up in North America and the Japanese automaker will sell plenty of the performance coupes in Southern California. L.A. ranks as the largest market for luxury and performance vehicles here in the U.S. It’s a good move by Subaru to introduce it in LA. We can get a good idea of some of the performance goodies that can be expected on the new BRZ STI. Subaru Australia just released information on their new BRZ S performance model that includes an STI package. Subaru Australia launched a new 2014 BRZ S STI performance package in early July that upgrades the standard model. What does it include? The new S STI performance pack comprises a long list of components that distinguish it from the standard BRZ. The 2014 BRZ S will be track ready and will include a number of exterior upgrades. It features front under, side, rear-side and boot lip spoilers, a flexible tower bar, lower coil spring set and 17-inch black STI alloy wheels. It will also feature an STI manual gear shift lever assembly, Duracon shift knob (manual-only), engine push-button start switch and rear under diffuser. What will be under the hood? We can be sure that Subaru will upgrade the current 200 horsepower boxer engine with additional STI tuning upgrades. The new performance BRZ STI will likely get upgrades to the intake system that is reported to bump the horsepower to around 220-230 horsepower. Additional power will be added by Subaru STI making adjustments to the dual active valve control system. The maximum rpm’s could also be raised past the current 7,500 rpm limit. A new free flowing exhaust system will improve exhaust flow and reduce back pressure. All will come from STI technology developed on the track for Subaru's race cars. The new Australian 2014 BRZ S is not the high-performance model that will make its global debut later this year in LA. Look for the 2014 Subaru BRZ STI to have a new STI body package and more horsepower to go along with the exterior treatments. This new BRZ will not only look good, but it will have handling and performance worthy of the STI badge. The wait is almost over for BRZ performance fans.